Please join us for this very important year-end fundraising campaign to help us launch one of our most exciting and revolutionary concussion programs yet to-date. The Seeing Stars Foundation is already getting ready for the next season of youth sports in 2018 and we would like to be better equipped moving forward. We are now looking to raise $150,000 within the next 3 months to introduce our Sideline Assessment Program for young athletes, which will provide them with on-field access to medical assistance and instant concussion evaluation during competitive games and sports activities. 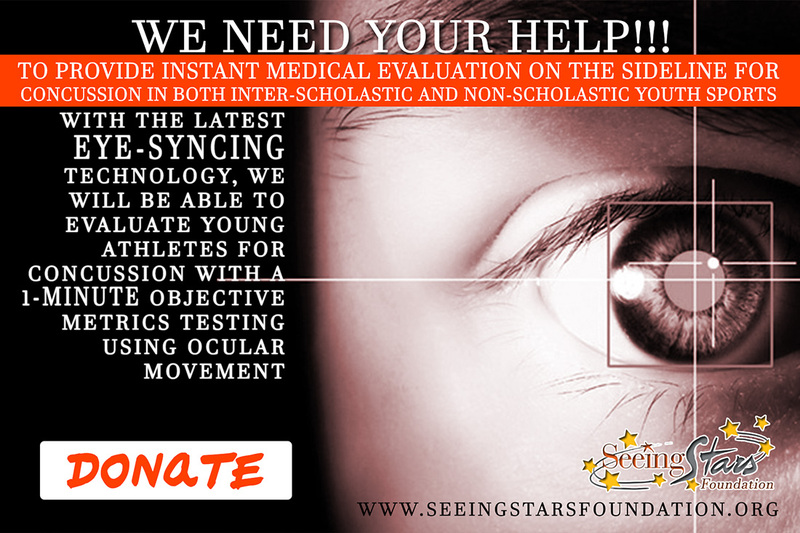 The Seeing Stars Foundation is a 501 (c) 3 non-profit organization whose mission is to support research and education on sports related concussion and sports related neurological injuries from the pee wee to the professional level. The Foundation is currently working on a national outreach program to train physicians, athletic trainers and other healthcare professionals in the diagnosis and management of sports related concussion. Seeing Stars was founded by Neurologists with an expertise in sports related neurological issues in an effort to improve the quality of life of athletes of all ages. Our doctors serve as consultants and team physicians for the NFL, NHL, Professional Boxing, the NCAA, United States Tennis Association and serve on concussion committees for the NFL and NFL players association to name just a few. 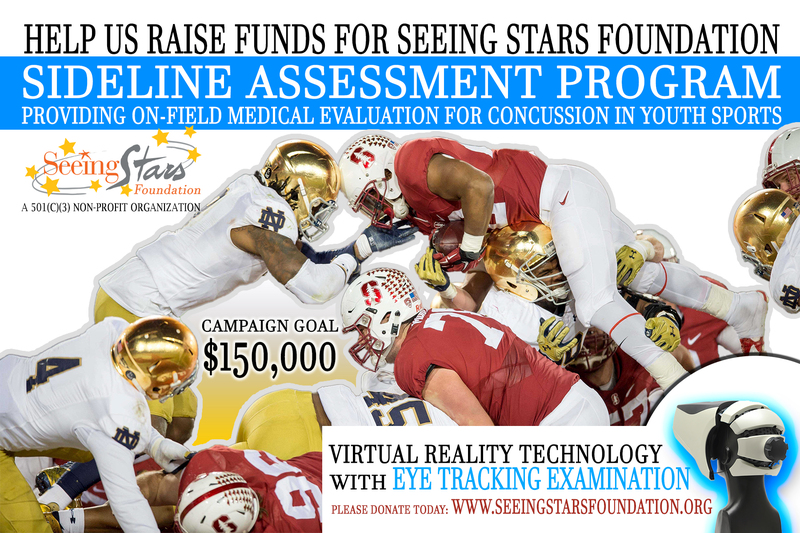 Seeing Stars Foundation is developing and funding clinical research programs geared towards understanding the mechanism and physiology of sports related concussion, as well as evidenced based research studies on Neuroimaging techniques Neuropsychological testing, and the management of concussion related symptoms. Despite all the publicity in the media and subsequent congressional hearings there is little to no funding for sports related concussion education and research. We are looking for all types of volunteers to help with our events (locally) or you can also volunteer virtually no matter where you live.